SEAMAN JOB INFO - Posted 11/17/2018 Moreta Shipping Lines, Inc. Urgent hiring jobs for Filipino engine officer crew for a container ship. 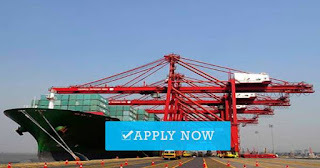 0 Response to "Urgent Hiring Engine Officer For Container Ship"